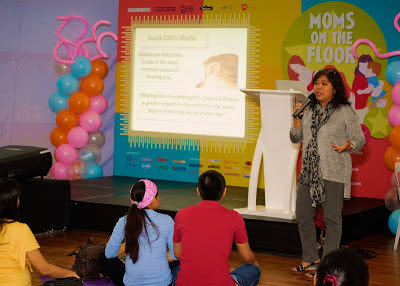 October 13, 2012- Mommy Mundo, the country’s go-to resource for active, modern moms is hosting the third MOMS ON THE FLOOR event. Moms on the Floor is a one-of-a-kind learning and bonding activity for the whole family. All the activities are done with the participants "on the floor" for relaxation and also "on the dance floor" for active fun promoting fitness. The first portion offers prenatal yin yoga by Dona Esteban and labor and breathing exercises by Rome Kanapi for expectant moms. The second portion offers mom and baby exercises by Gymboree and infant massage by Rome Kanapi for moms with infants and the last portion offers YogaKids by Michelle Aventajado and Zumba fun by Slimmers World for moms with kids 1 to 6 years old. For many years now, Mommy Mundo has also been advocating child vaccination. Since 2010 they have partnered with GlaxoSmithKline in promoting free vaccination programs. To deepen that commitment, Mommy Mundo has designated a page in their website for this cause. The page is aptly entitled Best Shot at Life offers information on how parents can ensure the wellness of their kids through vaccination and healthy living. It also has disease prevention tools such as a guide on diseases, an immunization schedule calculator and a clinic finder. In addition, you can also ask "Tita Doc" for vaccination-related questions. 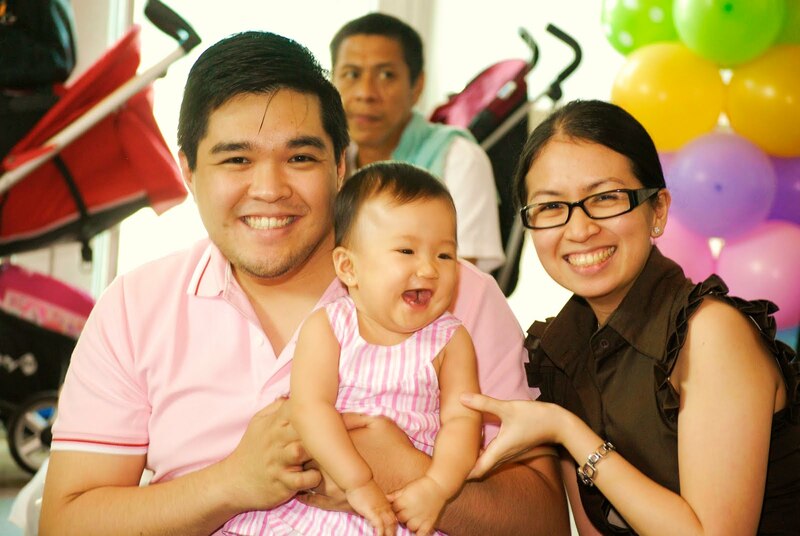 Janice Crisostomo-Villanueva, the founder of Mommy Mundo shares "With Mommy Mundo, as you know, we have many advocacies we are passionate about- healthy pregnancy, breastfeeding, mompreneurship, active parenting- and part of our active parenting advocacy is our passion to promote vaccination awareness to our community of moms and moms to be. We are so thankful to have gotten support from GSK in this project- our vaccination portal will be the source of information for the general public on news on vaccination, diseases information." To know more about Best Shot at Life, visit http://www.mommymundo.com/vaccinate. Moms on the Floor is co-presented by Shop Mommy Matters, Philippine Association for Childbirth Education, GlaxoSmithKline, Anmum, and Cordlife Cord Philippines. Also supported by Cycles Mild Detergent, Cradle, Philips Avent, Crystal Clear, Pigeon, Tiny Buds, Gymboree, Slimmers World and media partners Manila Bulletin, Working Mom Magazine, Smartparenting Magazine, Baby on Board, Urban Mom Magazine, Mommy Pages, Crossover 105.1 and the Lifestyle Network. Best Shot at Life is another great undertaking by Mommy Mundo. This web page will surely help first-time moms know the importance of getting their kids vaccinated. I attended this event and I had fun most especially in the Zumba part. The Best Shot at Life will surely be a great help to moms to be guided regarding kids vaccination.